Sometimes I read a book and I don’t know what to do. Sigh and savour? Read it again instantly? Pack it into my school bag to share? Just stop and think . . .? 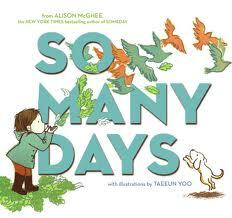 So Many Days by Alison McGhee and illustrated by Taeeun Yoo is exactly that book. 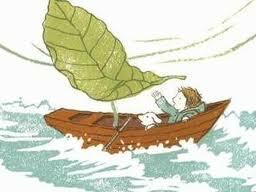 I want to read it again. But I might cry. Or maybe not. Maybe I will just smile. This book is all about potential. Possibilities. Choosing a path and following it. Being loved. Succeeding. Falling flat. Who will you be and where will you go? I found this book at the library. But I think I need to own it. A book to give as a gift. To someone graduating from something. Someone on the eve of parenthood. Someone who needs to be reminded: You are loved more than you know. This entry was posted in Uncategorized and tagged Alison McGhee, favourite illustrators, fiction, great read alouds, picture books, Taeeun Yoo by carriegelson. Bookmark the permalink. I’m going to request this one and the lion one too! And I love the photos of the baby chicks. The kids’ drawings are wonderful.